OneSpot, a content marketing platform, announced a new suite of SaaS omnichannel marketing solutions Wednesday that help email marketers reengage with consumers through personalized content. The new solution expands OneSpot’s proprietary technology platform Content Sequencing across Web site, email, social and paid digital channels. OneSpot leverages data intelligence, predictive modeling and marketing automation to engage with the same customer across channels. The company claims that its machine learning technology reaches 94% of the U.S. Internet audience with more than 1 trillion content placement predictions per day. Of special interest to email marketers is the new OneSpot InBox solution, which creates individualized and targeted content for a company’s email marketing campaign. 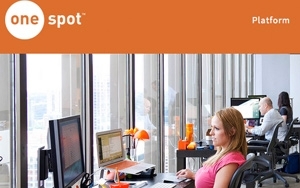 OneSpot also integrates with third-party email service providers and data solutions, including CMS, ESP and CRM platforms. The expansion to OneSpot’s Content Sequencing platform also includes OneSpot OnSite, which recommends targeted content for consumers on a brand’s site, and OneSpot InAd, which can target new users with more relevant advertising. Each marketing tool is integrated with OneSpot’s Content Interest Profile, a data-driven omnichannel consumer profile that leverages a consumer’s history and content interests to predict the most relevant advertising content. Marketers can leverage this data profile to drive engagement.